If you have a pinball machine that is currently not working or you would like to have your machine look and play like new contact us today. We are a father and son team who not only enjoy playing pinball, but who really love getting non-working pinball machines back in service. 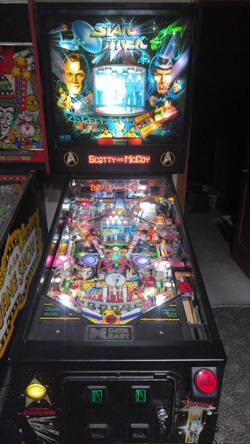 We have repaired all makes and models from the 1930s to present-day machines and are the go to experts in the Fox River Valley for EM (pre-1980) pinball repair. 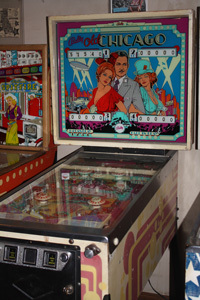 Our goal is to get your pinball machine to look and play even better than it did when it was new. At Father and Son pinball, we will always give you an honest estimate of what it will take to get your machine up and running. We will also tell you if the repairs would be more than what the machine is worth. We want you to be happy and satisfied. Electro-mechanical machines have literally thousands of parts, maybe as many as your car. Diagnosing problems takes time, expertise, concentration and specialized tools. Our shop is set up for just that. Pinball machines were originally designed to last under five years, because no one made money off of machines that the public was bored with. After 20 to 30 years the machines that are still around can have some challenges. Very often, when one thing is wrong with a machine it can cause other unseen problems that can only be uncovered by completed going through the machine. We have spent hundreds of hours traveling across the country to train/apprentice with retired pinball repairmen/operators and thousands of dollars outfitting our shop. Our experience has proven that it is much better for you the customer to have us completely go through your machine versus just fixing one thing. We go through every machine from top to bottom, everything is removed from the playfield and cleaned. 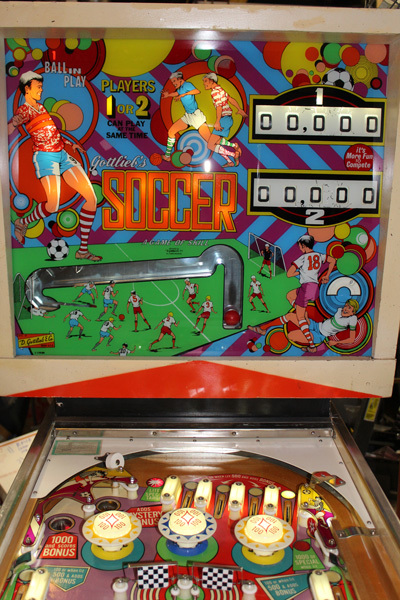 The playfield is waxed and we replace all of the rubber and replace the bulbs with cooler running LED bulbs. We clean and adjust all motors, switches and reels. Your machine won’t leave our shop until you are happy with it. “Mike and his family have successfully brought our pinball machine out of the ashes! Mike did the work for a fair price, and he and his family have an obvious love of classic machines. The pain staking work they did to bring our 1975 air aces is clear when playing it. I don’t have any expertise in pinball machines whatsoever. When I dropped our machine with mike and his family, it was clear to me that they are fellow pin-nerds. Our machine is now a fixture in our basement bar, and I just can’t wait to share it with our family and friends. I will personally vouch for these guys any day of the week, and expect to bring them another 70’s era machine very soon. We have an initial charge of $75 for service and diagnostic fees. These are waived if any work is completed by us. Call us today at (920) 422-6100 for an appointment. You can drop off your machine at our shop, or if you are out of the area, contact us for shipping options. Don’t reply to Craigslist ads looking to buy your pinball for cash until you talk to us – many times we can help you make more money in the long run by being able to sell a working machine.